Xiaomi founded by Lei Jun in 2010 with its headquarters in Beijing, China, quickly became one of the most popular and recognizable mobile brands out there when it launched its Redmi smartphones in the market. Redmi was a budget smartphone line which aimed to capture the market area for low-end smartphones by providing phones at prices as low as rupees 6000. It pushed the other phone manufacturers to offer low-end smartphones to recapture the market that was already captured by Xiaomi within such a short span of time. The low-end smartphones provided customization and value for the customers. The design of the phones was so designed to look premium and not cheap like the previous low-end smartphones. Along with that, the longstanding charge of the phones with 4000mah batteries was a cherry on top. Should You Buy Redmi Note 5 Or Redmi Note 5 Pro? The redmi note has been immensely popular ever since it’s launch in February 2018. Now that xiaomi has launched both Redmi note 5 and Redmi note 5 pro, it has sparked comparison between the two of them and has made the customers confused regarding which one to buy. To help you decide, here are the specifications, the good and the bad of both the devices. The phones are similar when it comes to their dimensions that are 158.6 x 75.4 x 8.1 mm, but there is only a minute difference in how much the phones weigh. 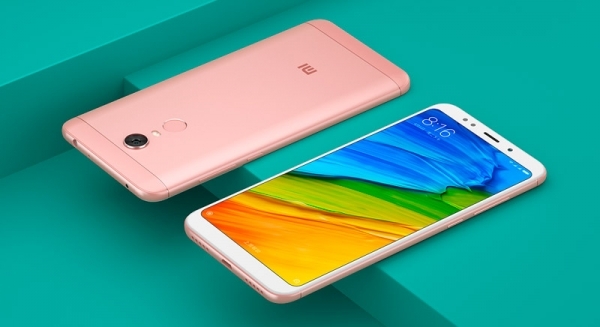 Redmi note 5 weighs 180 g which is slightly less than Redmi note 5 pro which weighs about 181 g. As is the trademark of Xiaomi phones, both the phones have a premium look to it, with its body made of aluminium and front made of protective glass. Redmi note 5 pro has a slight edge over the Redmi note 5 because it has been given a unique thermal design to reduce the temperature and the heating of the phone and sturdy corning gorilla glass thus enduring the durability of the phone. Its reinforced corners give it a cushioning effect for lowering screen damage. Both the phone have a hybrid dual sim slot, which means you can have two sims or insert one sim and a micro SD card. Both the slots support nano sim. Both the smartphones have IPS LCD capacitive touchscreen, 16M colors, 5.99 inches with 18:9 aspect ratio with bezel-less design, thus ensuring full-screen display without the ugly black borders. The bezel-less design ensures that there is a maximum display screen. Both allow multitouch feature. Both the smartphone support EDGE, GPRS, 3G, 4G LTE, Wi-Fi, GPS, Bluetooth and micro USB 2.0. Both have an FM radio and USB OTG feature. It supports, SMS, MMS, IM, Email and Push Email. Redmi note 5 pro has an internal memory of 64 GB which is expandable up to 256 GB, and 6GB RAM and Redmi note 5 has an internal memory of 64 GB which is expandable up to 128 GB and 4GB RAM. More the RAM smoother is the experience. Both the smartphones run on Android 7(Noughat) and the customized MIUI 9. Although, Redmi note 5 can be upgradable to Android 8(Oreo). Redmi note 5 pro runs on octa-core 1.8 GHz and latest Qualcomm Snapdragon 636 processor having a GPU of Adreno 509. Redmi note 5, on the other hand, runs on octa-core 2 GHz Qualcomm Snapdragon 625 processor with a GPU of Adreno 506. Whereas Redmi note 5 pro has the newest and latest processor offered by Qualcomm, Redmi note 5 has a faster processor with 2 GHz capacity. Redmi note 5 pro comes with a dual camera of 12MP and 5MP, with a front camera of 20MP with LED flashlight and Beautify 4.1 to make your selfies glow. Redmi note 5 does not have a dual camera and comes with a rear camera of 12 MP and front camera of 5MP with LED flashlight and Beautify 4.1. Redmi note 5 pro is superior in the camera quality when it comes to Redmi note 5. With Redmi note 5 pro you can record video at full 1080p HD quality, but with Redmi note 5, you can record videos at Ultra HD 4K quality. It has all the features of touch to focus, face detection, geo-tagging, and panorama. Redmi note 5 pro has unique face unlock and fingerprint unlock technology. Redmi note 5 lacks the face unlock technology although it has fingerprint sensors. Other sensors that both the smartphones have in common are accelerometer, gyroscope, compass, proximity sensor and ambiance light sensor. Both of them have an inbuilt HTML browser. Redmi note 5 pro has 3rd party Java pre-installed which Redmi note 5 does not have. Both of the smartphones have 3.5 mm headphone jack with active noise cancellation, and mic system supports WAV ringtones and MP3. When it comes to video both of them, support Xvid and MP4 formats. Both the phones come with Li-Po 4000 mAh battery which is nonremovable. The high capacity battery along with the system configuration for charging and power saving offers one whole day of usage without having to charge the phone again and again. It also has a fast battery charging feature. Ultimately, you should take your pick depending on your budget and the technical requirements. Do you play games a lot, multitask a lot then both phones would be a good pick, but if you love taking photos with your phone it goes without a saying that your pick should be Redmi note 5 pro. Although both the phones are in line with the budget smartphones, if you are little too short on cash you can opt for Redmi note 5 since Redmi note 5 pro is a bit costlier. But, if you wish to experience the unique face unlocks system without having to spend thousands on an iPhone then Redmi note 5 pro should be your choice.